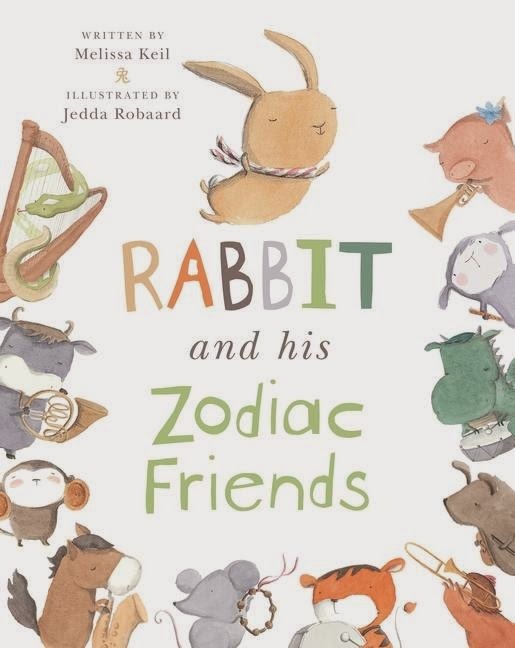 Chinese New Year is the perfect time to enjoy this delightful story about Rabbit and his friends, who all happen to be animals of the Chinese Zodiac. Rabbit is lonely. He doesn't really know why he doesn't have a special friend, as he's generous, kind and likes doing lots of things. His shyness might have something to do with it, however, as even though he loves music, he's too shy to play with the other animals. Then, one day, inquisitive Dog hears Rabbit playing and goes to find the source of the music. He's soon joined by timid Sheep, energetic Pig, mischievous Monkey, honest and spirited Horse … all the way up to strong Dragon. And suddenly Rabbit realises he doesn't just have one friend, he has lots of them!